Paul Peel spent the summer and fall of 1883 in London, Ontario. He returned to his hometown with the pride of having accomplished much in Paris: earlier that year, he had first exhibited at the Paris Salon, and he had seen his artistic skills grow under the tutelage of Jean-Léon Gérôme. Peel completed a number of portraits while in London. 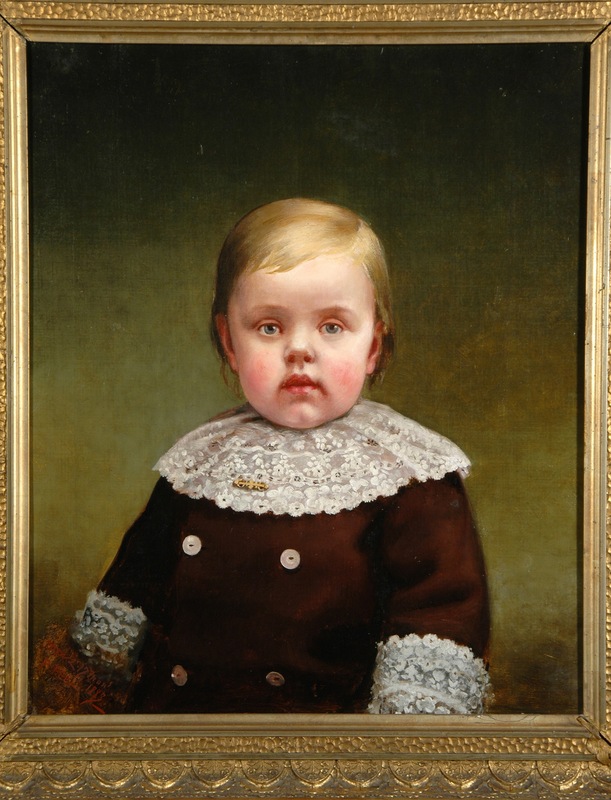 This portrait of Master Lyford Paterson Edwards shows Peel’s exceptional gifts at capturing the skin tones and expressions of children—a talent that would blossom in the late 1880s and early 90s with such canvases as The Young Botanist (1888), The Modest Model (1889) and After the Bath (1890). The young Master Lyford P. Edwards, in turn, would grow up to become an Episcopalian clergyman, teacher, and author based in New YorkState. Among his publications were The Transformation of Early Christianity from an Eschatological to a Socialized Movement (1919) and The Natural History of Revolution (1927). The latter study argued that civil unrest in America was far from imminent (“there is no more reason for Americans to be alarmed at the Russian Revolution than for the people of Florida to become alarmed at an eruption of Vesuvius”).1 Though they did not bring him fame, Edwards’ efforts to marry his theological perspective with a careful study of sociology would influence scholarship at the University of Chicago in the 1920s and 30s. 1. Edwards, quoted in “Problems of War and Peace,” A review by Foster Rhea Dulles In The Bookman, March 1928, pp. 105-107. See http://www.unz.org/Pub/Bookman-1928mar-00105.